Are you, or your clientele, interested in exploring renewable energy and energy efficiency technologies?Are you curious if a particular project might be a viable opportunity for a particular location? Wonder how it might compare among other alternatives? If so, please consider joining us to learn about a free energy project analysis tool named RETScreen that can be helpful in exploring new energy project opportunities. 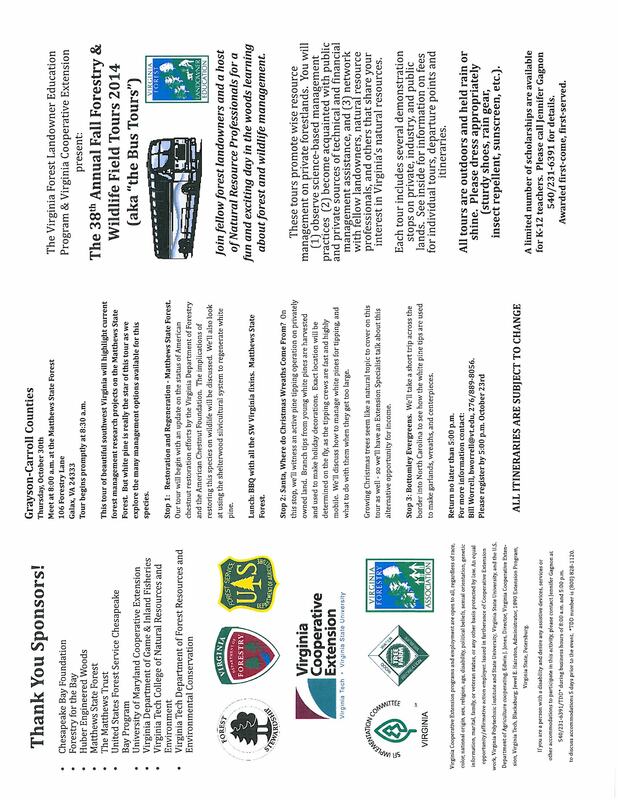 Who Should Attend This Introductory Workshop? Want to learn more about hay for your horses and livestock? Come to our workshop on July 10th from 6-8 PM in Moseley! We will learn how to identify different types of hay so that you know what you are buying, how to take a hay sample for testing and how to interpret the results, how to evaluate hay for factors like maturity and condition to determine its quality before buying, how to design a feeding program based on your hay’s quality, and more! Youth are welcome to attend, and snacks will be provided. Call (804) 561-2481 with questions! 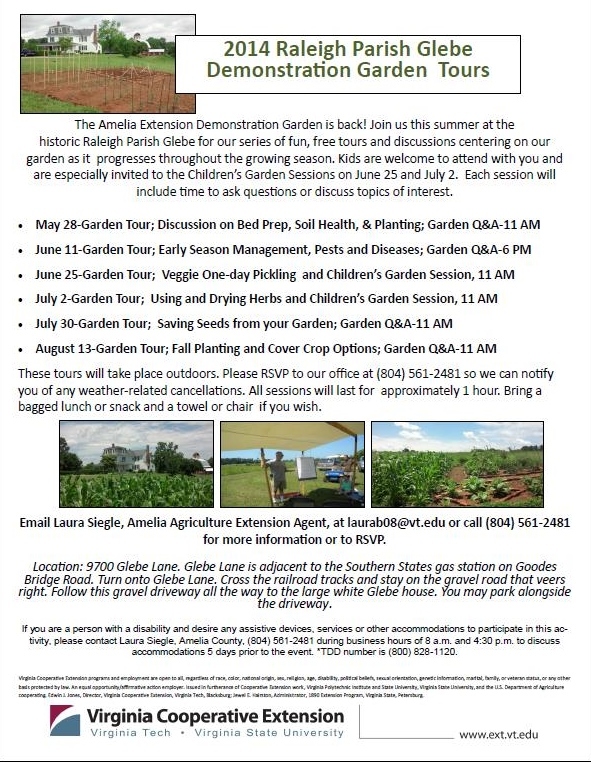 For the second year in a row, the Amelia Extension Office will be holding a summer workshop series at the 3,000 square foot vegetable demonstration garden at the Raleigh Parish Glebe. Garden sessions are free and will last approximately one hour. 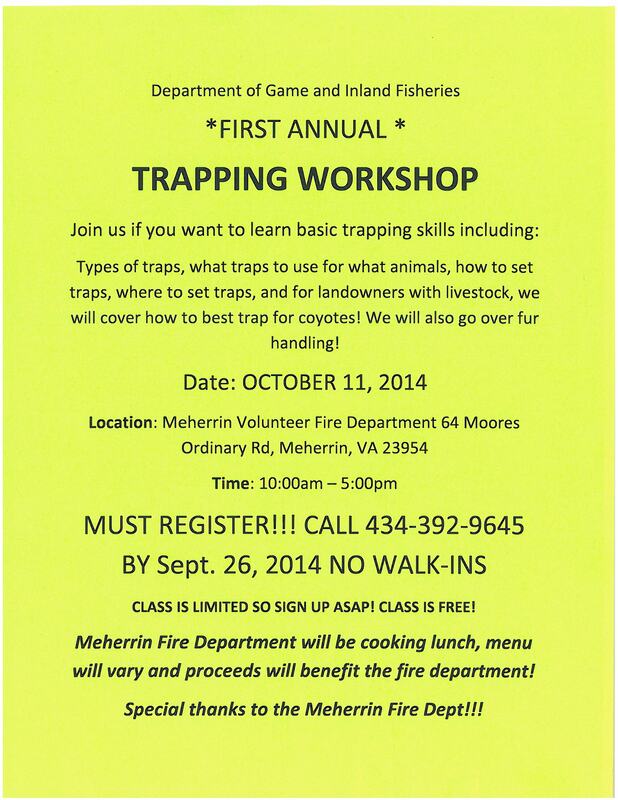 Interested participants should preregister to (804) 561-2481 so that they can be notified of weather-related changes. Children are welcome to attend with adults and are especially invited on June 25 and July 2, as there will be a breakout gardening activity for children during the concurrent adult session. Each garden session will include time to ask questions or discuss any topics of interest. Tours will take place outdoors, and participants may bring a bagged lunch. 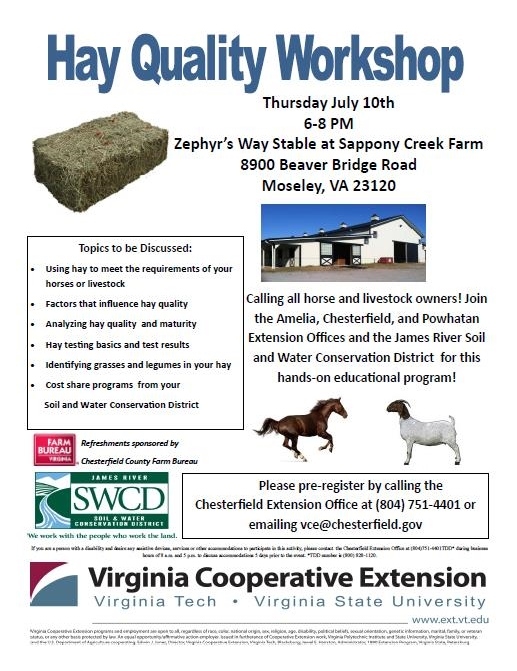 Contact Laura Siegle, Amelia Agriculture Extension Agent, at laurab08@vt.edu or (804) 561-2481 for directions, more information, or to RSVP. 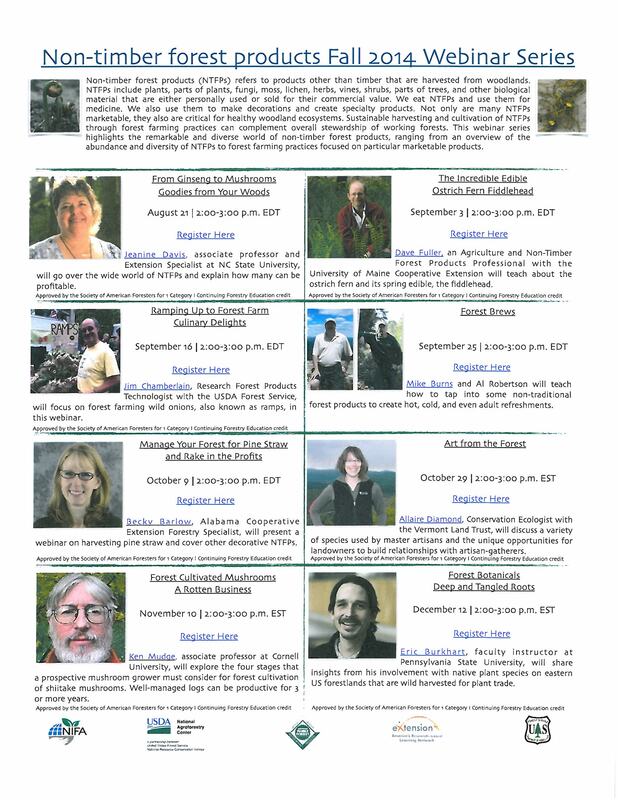 Individuals or community groups who wish to schedule a special workshop or visit the garden outside of these public tour dates are encouraged to call the Extension office to schedule an appointment. 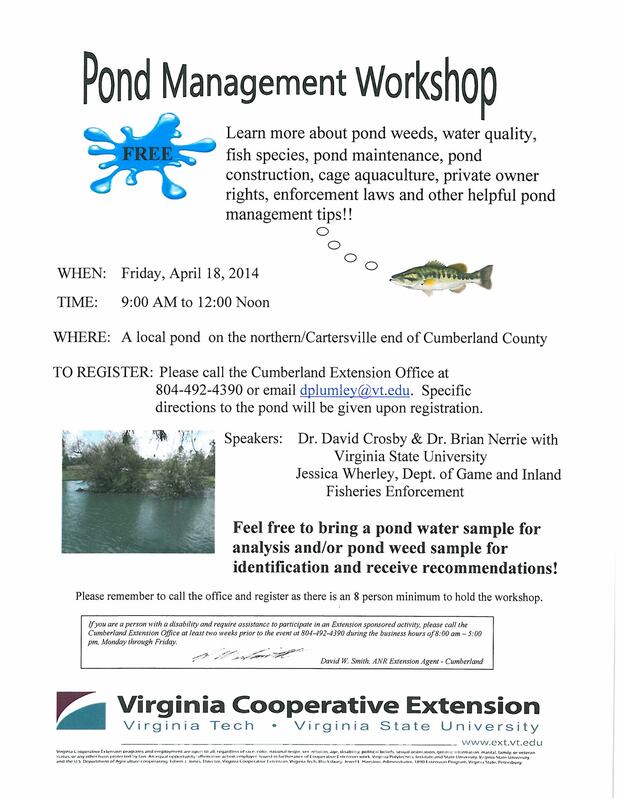 For more information, please contact Amelia Cooperative Extension at (804)-561-2481.